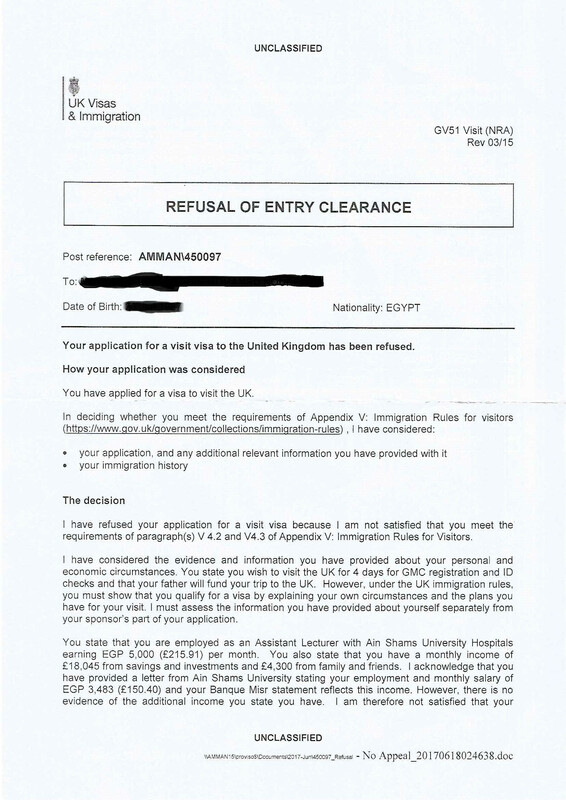 In Egypt, I applied for the General Medical Council identity check and the visa was refused two times. The first time, I was going as a visitor, but they said that I didn't show that I have sufficient funds to cover the cost of my travel. 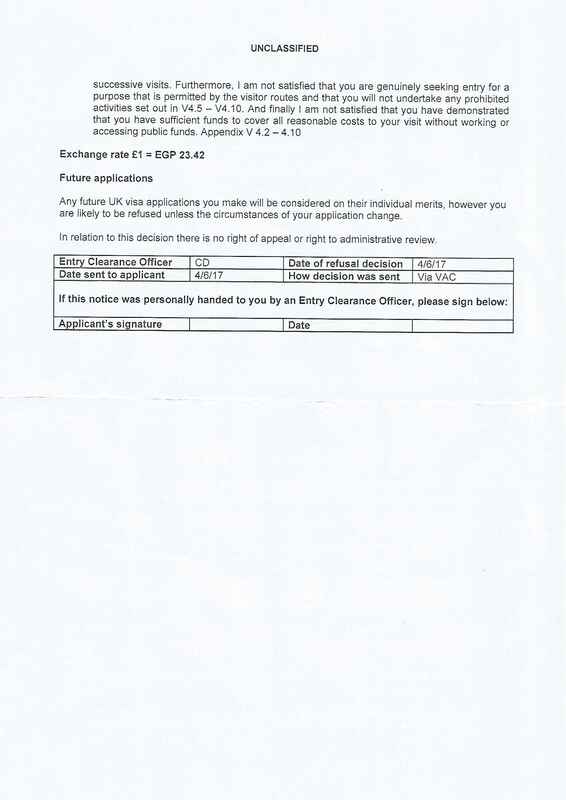 I did include a letter from my employer showing my and bank statement. The second time, I asked my father to add some funds to my bank account and I included another bank statement with funds in US dollars where my salary is transferred. I stated that my father will help me to cover the costs of my visit, noted that he had transferred money to me, and included his bank statement. I was refused, saying that I must explain my own circumstances and my purpose of travel, and that my finances would not be sufficient. It was also noted that there was no evidence that my father was giving me the money. My concern is that my GMC date expires in 45 days. Is there anything I can do? 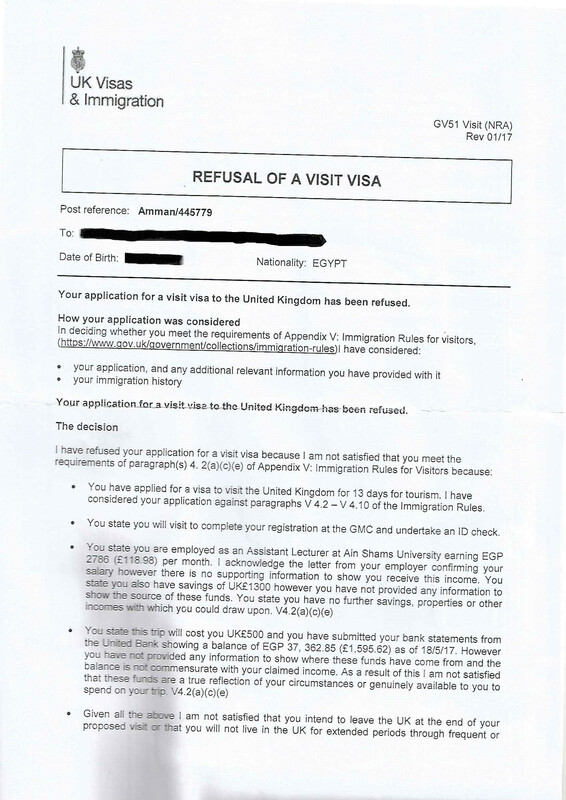 Browse other questions tagged uk visa-refusals egyptian-citizens or ask your own question.